Many of the victims were in their 20's, including a 23-year old father, Isaiah Harris, who was killed near Howard University in 2018. It’s tough to miss the display resembling a cemetery outside the Westmoreland Congregational United Church of Christ in Bethesda, Md. “It’s unbelievable,” passerby, Maude Svensson said. 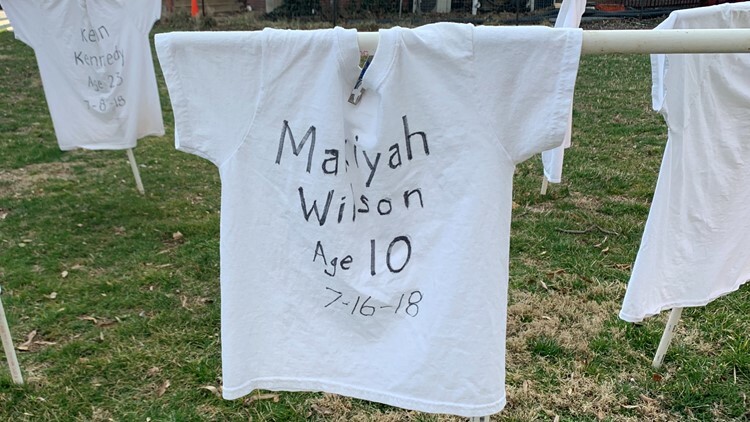 Outside the church are more than 120 T-shirts, noting some of the people shot and killed in the Washington area last year. “It's a lot,” said Kaeley McEvoy with Westmoreland Congregational United Church of Christ. 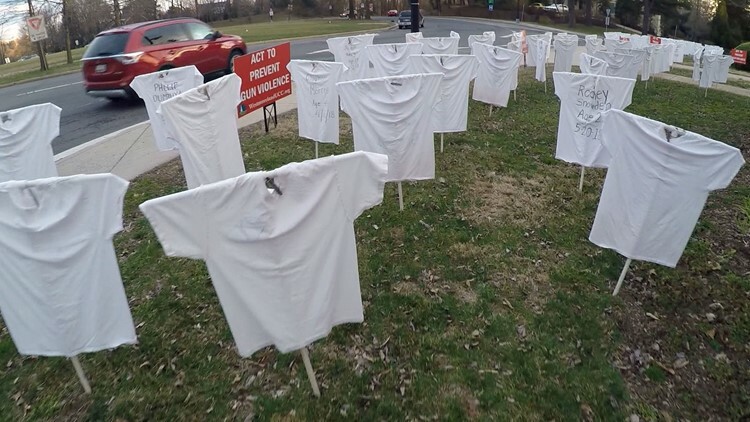 Westmoreland church T-shirt display gun violence. McEvoy said they are forcing people to confront the violence by looking at this depiction of all the lives and families impacted. "You can't turn away from it," she said. Many of the victims were in their 20s, including a 23-year old father, Isaiah Harris, who was killed near Howard University in 2018. Then, there are the very young, like 10-year old Makiyah Wilson who was shot and killed in Clay Terrace. Church leaders said there is a lot of thinking and praying for victims at their house of worship, but that is not enough. Monday night, Mayor Muriel Bowser gave her State of the District address, in which she noted more than 100 people were killed in D.C. last year. "As we know, over the past year, our city has experienced a tragic spike in fatal violence," she said. "People are getting shot at closer range, there have been more shots fired, and it’s still much too easy for people – including our youngest – to get their hands on powerful firearms." According to Metro PD, there have already been 35 homicides in the District so far this year. That is up 52 percent from this time last year. 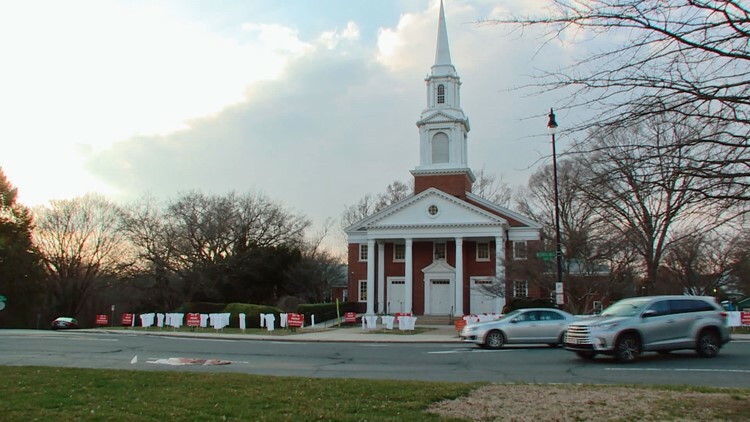 Part of Sunday's service at the church, which will focus on gun violence, is set to take place outside with communion among the t-shirts. McEvoy said the church wants to encourage people to act to end gun violence with their moving display. The shirts will be in place for two weeks before moving to another church in the DMV.